These handcrafted Chocolate Lab Cosmetic Bags make unique Labrador Retriever gifts for your dog walker or dog groomer! 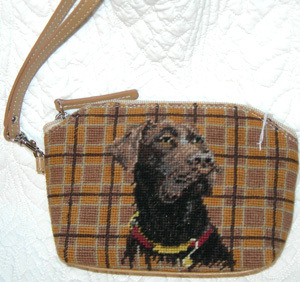 Elegant Dog Gifts, Including Needlepoint Chocolate Lab Cosmetic Cases. The Ultimate Store for Dog Merchandise and Chocolate Labrador Retriever Gifts. 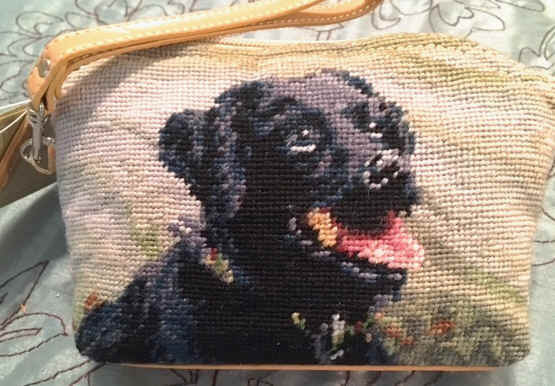 This beautiful Lab Cosmetic Case is 100% soft wool needlepoint with a zippered top. The bag is handcrafted and exquisitely adorned with colorful depictions of an adorable Chocolate or Black Labrador Retriever. These elegant little cosmetic bags are the perfect size for carrying your cosmetics, loose change, store receipts... even your cellphone. A wonderful gift for your dog groomer, dog walker or veterinarian. Also makes a great stocking stuffer for the Lab lover in your life! Case measures 4" x 7". Vinyl back. 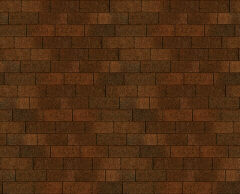 Fully lined with a detachable carrying strap outside. Additional strap and ring inside to attach your keys.